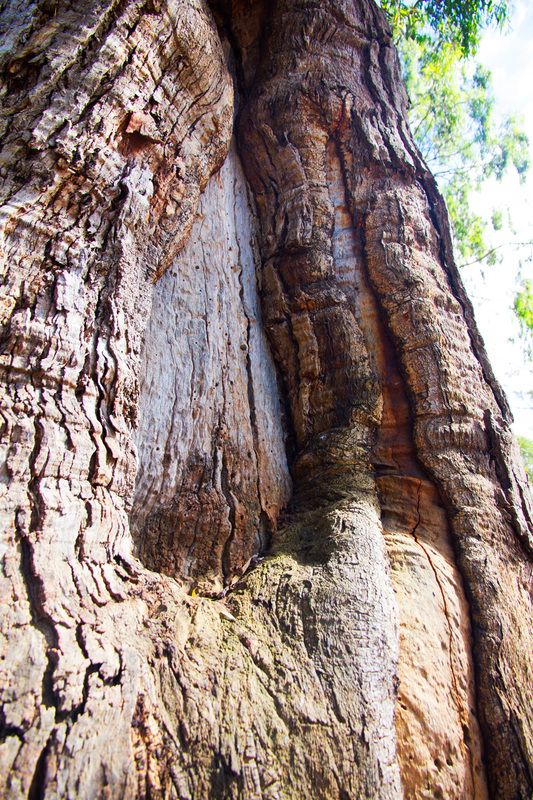 The Heide Scar Tree, known as Yingabeal, or songtre (Yinga meaning sing or song and beal is an Indigenous name for a redgum) (Grace et al., 2016), represents an important link to Aboriginal cultural practices significant to the original inhabitants of the site, the Wurundjeri and Woiwurrung people, for whom this particular tree was a sacred ceremonial ground (Heide Museum of Modern Art, n.d.). It is considered the spiritual heart of the museum and the museum grounds, and is protected under the state legislation Aboriginal Heritage Act 2006 (Grace et al., 2016). Aboriginal people created scarred trees by removing bark from them to make containers, shields, canoes, and to build temporary shelters (Creative Spirits, 2016). They would use axes with which they would mark the outline of the space they were after. The bark was then removed to the hardwood but the tree would not suffer because it was not ring-barked. Once the bark was removed it would start to regrow, crowing around the scar as it pushed towards its centre; eventually, the scar would heal. The original scar of Yingabeal was about three metres long and the bark removed would have made a three-metre canoe (Grace et al., 2016). Scarred trees often occur along major rivers, around lakes and on flood plains, but also at significant (sacred sites) (Creative Spirits, 2016). They provide valuable clues about the use of perishable materials by Aboriginal people and also tell us where Aboriginal people lived; they also help us find archaeological sites, such as scatters of stone tools. Aboriginal ceremonies that took place around Yinglabeal reportedly go back to the mid 1800’s (Heide Museum of Modern Art, n.d.). 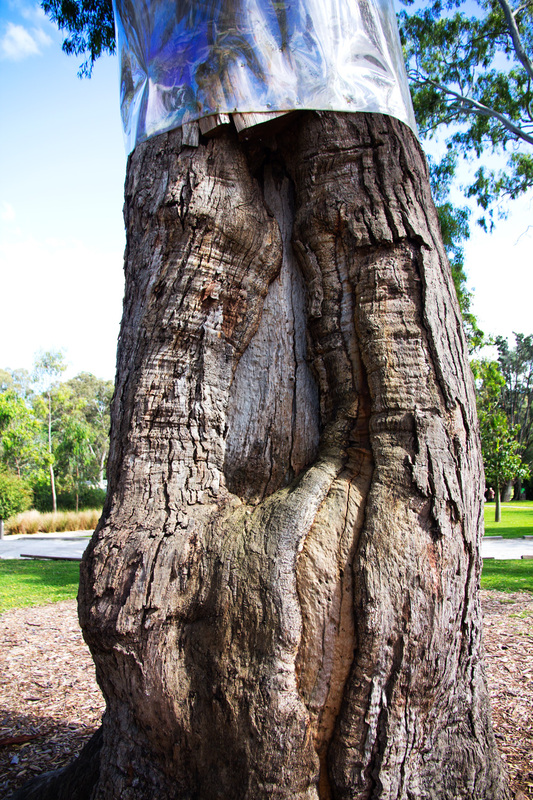 The Heide scar tree is approximately 600-700 years old (Grace et al., 2016) and is of particular significance to the Wurundjeri clan and Woiwurrung language group people (Heide Museum of Modern Art, n.d.). Apart from having had a canoe carved out of it at some stage, perhaps a few hundred years ago, it also fulfills the role of what is known as a ‘marker tree’, and is one of three such marker trees in the area (Grace et al., 2016). A marker tree would mark a travel route known as a ‘songline’. Yingabeal is very important because it marks the convergence point of songlines that head in 5 different directions, making it probably the most important marker tree in Melbourne. Songlines stretched for hundreds if not thousands of kilometers and are called a songlines because Aboriginal people used songs as part of their navigational system — instructions about the landscape would be coded into a song and before you had to go somewhere you had to learn the song. Songlines were a way of passing important knowledge and skills from the elders and would provide information needed for survival — serving as cultural protocol — encoding knowledge about burial sights, initiation or birthing places, or areas of boundaries (Grace et al., 2016). When early settlers came, the song lines were tracks that eventually became many of the roads that we know today; this means that the Indigenous history is embedded in the landscape. One particular song line route became a part of the rhythm of the daily lives of the Reeds — they would take the cows down the paddocks to the river and then back up again to the milking shed along this path (Grace et al., 2016). How did Aboriginal people found they way around the bushland prior to colonisation? Why are marker trees important to Indigenous people? How did the Aboriginal people navigated through landscape? What is the significance of solnglines? 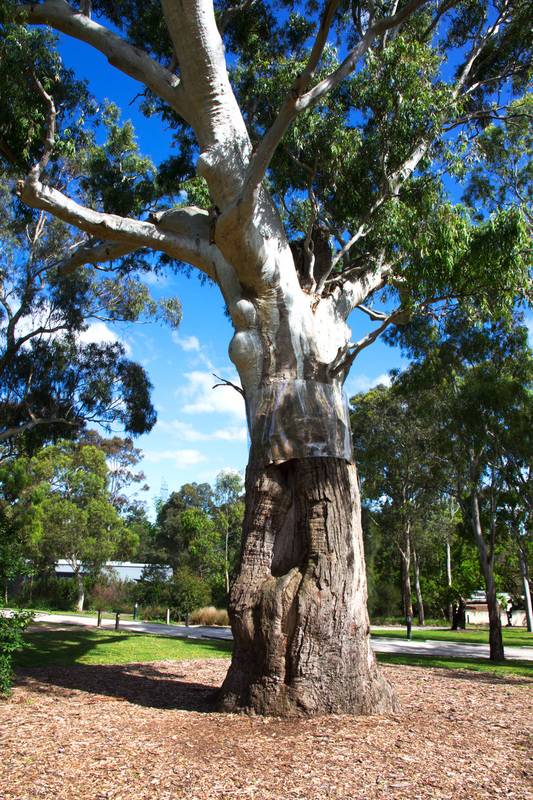 Why is the Heide scar tree important to the area? How did Indigenous people ensure that the scarred tree would stay alive? What does this tell us about their relationships with the land and Country? Why does a tree that has been ringbarked die?